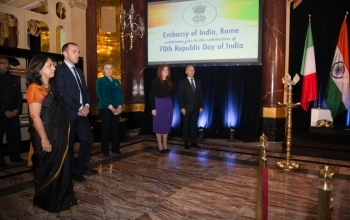 Embassy of India, Rome, Italy : News - Celebrations in Rome for the 70th Republic Day of India. Applauding India-Italy friendship, partners in progress. Celebrations in Rome for the 70th Republic Day of India. Applauding India-Italy friendship, partners in progress.